Oakland - James Kelman discusses and signs "Mo Said She Was Quirky"
Diesel, A Bookstore in Oakland welcomes author James Kelman to the store to discuss and sign his new novel, Mo said she was quirky, on Saturday, May 11th at 7pm. James Kelman, the Man Booker Prize–winning author of How Late It Was, How Late, tells the story of Helen — a sister, a mother, a daughter — a very ordinary young woman. Her boyfriend said she was quirky but she is much more than that. Trust, love, relationships; parents, children, lovers; death, wealth, home: these are the ordinary parts of the everyday that become extraordinary when you think of them as Helen does, each waking hour. Mo said she was quirky begins on Helen’s way home from work, with the strangest of moments when a skinny, down-at-heel man crosses the road in front of her and appears to be her lost brother. What follows is an inspired and absorbing story of twenty-four hours in the life of a young woman. James Kelman is the author of Busted Scotch, Greyhound for Breakfast, A Disaffection (which was awarded the James Tait Black Memorial Prize), How Late it Was, How Late (winner of the Booker Prize), and, most recently, You Have to Be Careful in the Land of the Free. He lives in Glasgow, Scotland. The new novel from the Scottish Man Booker-winning author of How Late It Was, How Late chronicles one twenty-four-hour span in the lives of Helen and her family. Poor, working class, sensitive to injustice and seeing it everywhere, Helen, in Kelman’s richly evocative prose, offers a candid look at today’s struggling Glaswegians. 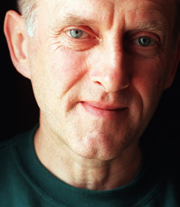 James Kelman is currently considered a "single author." If one or more works are by a distinct, homonymous authors, go ahead and split the author. James Kelman is composed of 2 names. You can examine and separate out names.